Designing a room for kids is very different from designing one for adults. Children use their rooms for playing games, studying, listening to music, day-dreaming and what not! 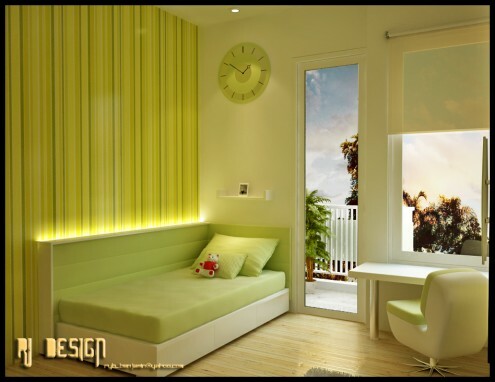 In this post, we will share a few quick tips on designing a kid’s room and also give you some inspiration to work with. 1. 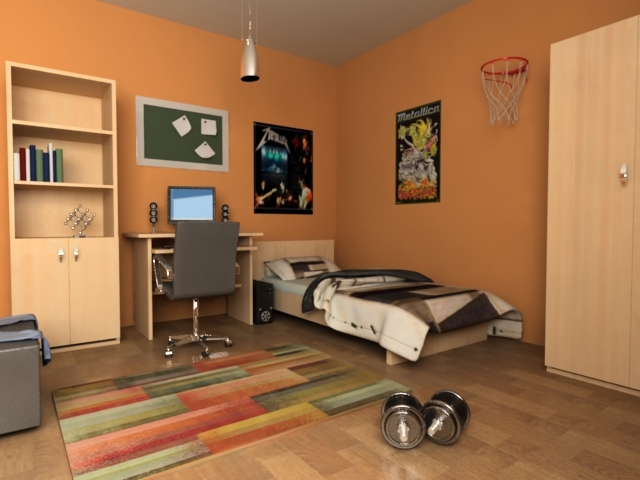 Talk with the child for getting his/her opinion about what their room should look like. 2. Children use the room for a variety of purposes. So it would be ideal if the room is designed to be multi-functional with play area, reading space, entertainment space, etc. 3. Keep safety a priority. If for example, the child’s room is next to stairs, make sure the stairs have railings. 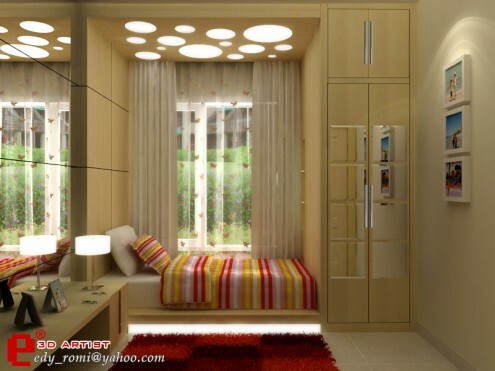 Keep the furniture clear of the doorway and install a night light in the room. 4. Ensure enough storage space for toys, clothing and other stuff that kids treasure. Though clutter may be a matter of opinion, try assigning a place for everything. 5. Bring in a surprise element! For example, kids love secret spaces! Try to fit one in if the room layout allows you. The above two designs are from Rudy, an architectural designer from Indonesia. 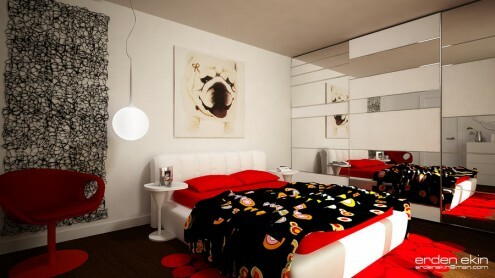 Need more kids room ideas? Or are you looking for something specific, like kids bathroom decor?